HMS Unicorn is a surviving sailing frigate of the successful Leda class, although the original design had been modified by the time that the Unicorn was built, to incorporate a circular stern and "small-timber" system of construction. Listed as part of the National Historic Fleet, Unicorn is now a museum ship in Dundee, Scotland, United Kingdom. 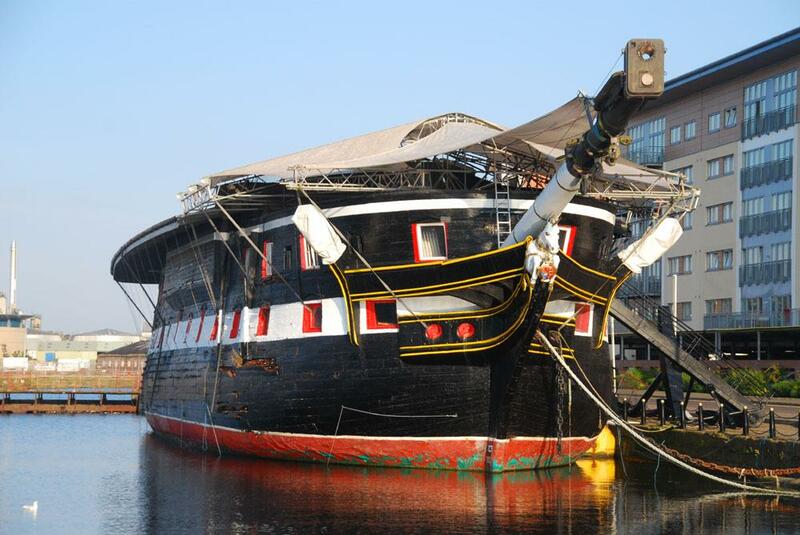 Though steps were taken to restore Unicorn to a similar condition as her sister ship HMS Trincomalee, this plan has been changed. The ship was found to be the only example of a wooden frigate of her type existing in ordinary, and as a result, the intention is now to preserve her in her current condition. Unicorn was never rigged, and only went to sea for the voyage from Chatham to Dundee, during which she was under tow. The roof that covers her upper deck is thought to have never been replaced. Princess Anne is patron of the Unicorn Preservation Society.